At GetResponse, we understand that growth hackers differ substantially from traditional marketers. Instead of implementing marketing plans and managing worldwide teams, their focus is narrowed to developing early strategies for startups. That’s why every decision of a growth hacker is driven by an obsessive willingness to grow. To achieve your goal, you need a full plate of intelligent tools and a large serving of smart techniques, all flavored with a pinch of cleverness. Focus on growing your contact list. Start by narrowing your strategy to a single goal that will stimulate growth. 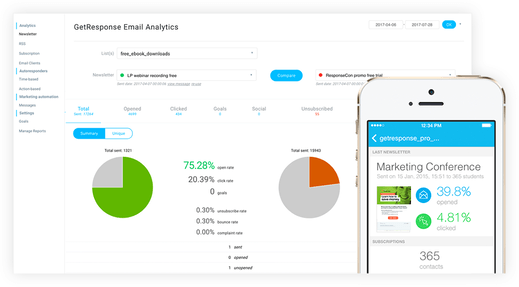 Collect email addresses everywhere using built-in tools: from customized forms on landing pages and Facebook to online surveys and mobile apps. Attract attention with humorous exit popups, scroll forms and shake boxes to turn visitors into eager followers. Import contacts via API integrations from digital phonebooks, social websites, and emails to introduce your product to your networks. Bring new visitors to your website. Optimize your customer lifetime value (CLV) and choose tactics to turn casual visitors into loyal fans. 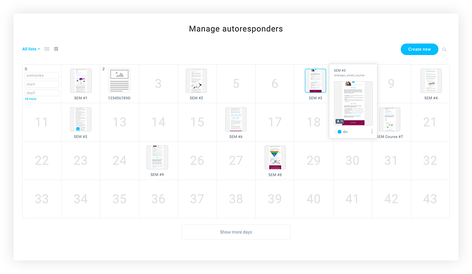 Use web forms on landing pages to build lists through contests and quizzes, incentive offers for signups, and content downloads. 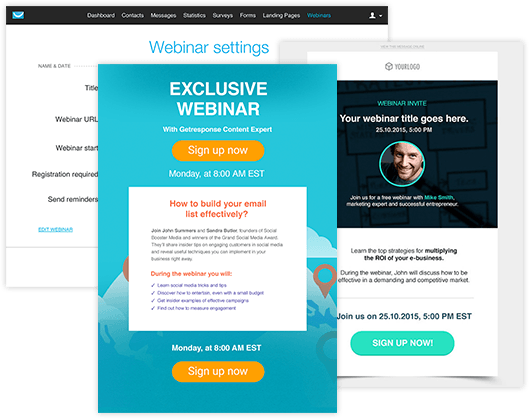 Organize webinars with exclusive content and limited seating to maximize interactions and participation. Engage socially by distributing valuable content via email and asking contacts to share it on Facebook, Twitter, or LinkedIn. Distribute video presentations in your drip campaigns or add them to your email signature. Distribute blog posts with RSS to email to educate your audience, become a thought leader, and build traffic. Generate unique discount codes with time limits to maximize engagement and subscribe rates. Cultivate an urge to try something new, optimize your experiment, and don’t be afraid to take risks. Use A/B testing to learn which subject line or CTA generates more opens and clicks. Segment subscribers into groups by demographics and test to find out how they behave differently. Use your growth-hacking sensibility to experiment with different content and images and display products that are relevant to your segment. Direct prospects and clients to different landing pages and send them unique offers and personalized discount codes. Implement smart analytics to track your goals. ”Analytics is the blood that flows through the veins of a growth hacker” — Neil Patel. Define criteria and create unlimited real-time data reports and statistics to measure performance and hit your targets. Find out which offers and CTAs generate the highest conversion with at-a-glance charts showing opens, clicks, and social engagement. Track which devices and browsers are used to discover and download your content. Define when a goal is reached, so you can learn what the market wants and repeat what works. Think of email as your intelligent secret weapon. 58% of businesses are planning to increase their email marketing budget by 2017. (GetResponse Email Marketing & Marketing Automation Excellence Report, 2017). Create drip campaigns at any intervals, include downloads, share case studies and testimonials, and send invites to company events. Use triggered emails to send thank-you messages, birthday wishes, and personalized welcome messages. Send automated updates about new product features, include alerts and notifications based on customer behavior. Create intuitive automation workflows to create truly unique customer communication. Introduce yourself in video newsletters to give prospects and clients a face-to-face customer experience. Be original, clever and ingenious. Take advantage of smart tools and technology-based solutions that push traditional boundaries to achieve growth. 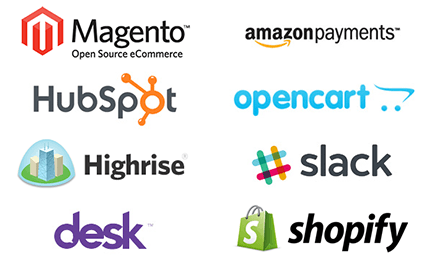 Choose from 100+ GetResponse API integrations or visit Developer Zone for all the API resources your programmers need. Increase readership with responsive email designs that subscribers can view anytime, anywhere, on any mobile device. Control email delivery by time zone by predicting when your message will get opened and then sending your email at exactly that time. Save effort on design and coding with drag-and-drop email editor, 1000+ iStock photos, and ready-made creative templates. Add the power of GetResponse to your growth hacking. 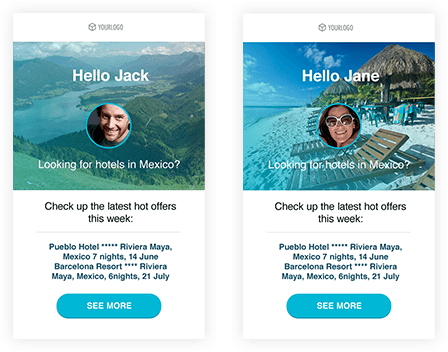 Your customers will love the incredible campaigns you create using GetResponse. Find out how GetResponse can drive your business.